Pass me a kaftan and a glass of fizz (make that a bottle), I feel the need to waft. 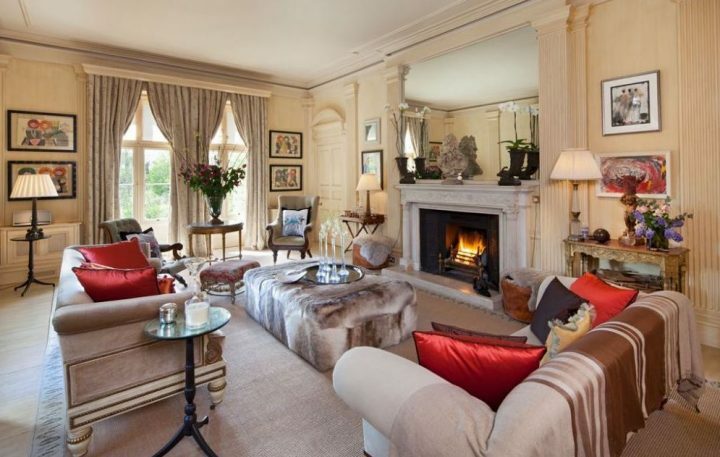 This stunning seven-bed house in Ascot is probably the most glamorous pad I’ve ever seen. 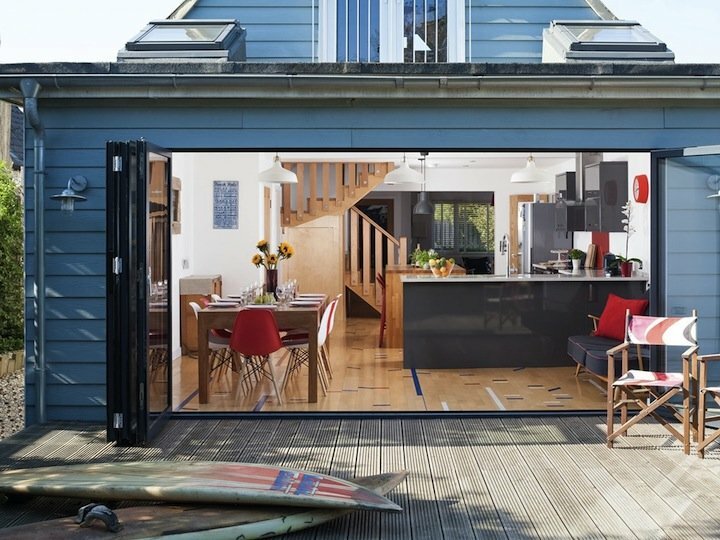 It’s been refurbished to a super-duper high spec with loads of entertaining space, outdoor jacuzzi and bar, cinema room and a music system that pumps out wherever you are in the house and garden. If you need a pad for Ascot Race, it’s five mins away, 10 mins to Wentworth gold course and 45 mins from London. 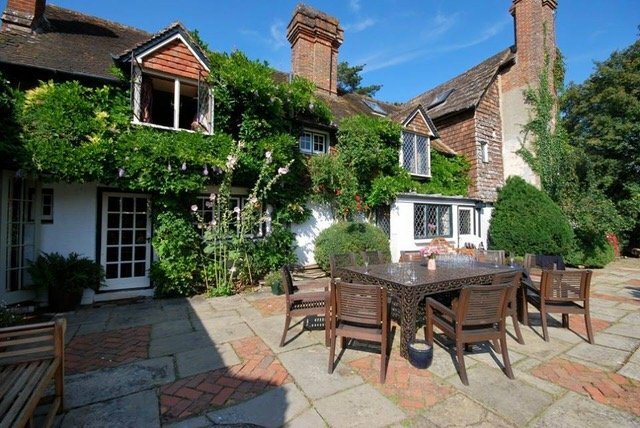 Looking for a party house where you bang out the choons without annoying the neighbours? 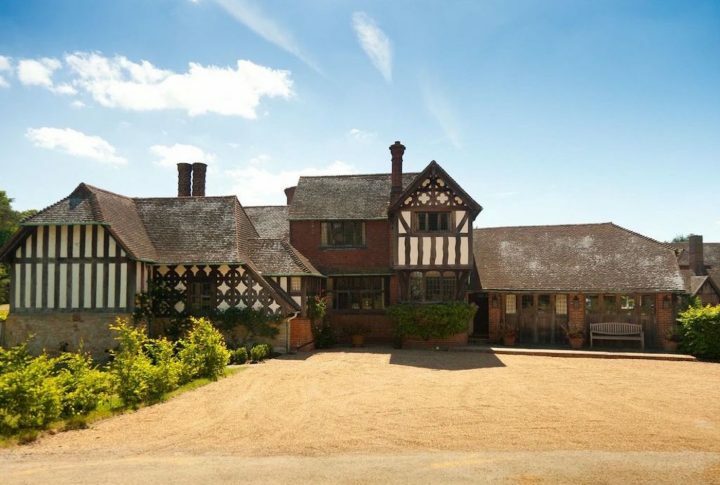 Home Farmhouse on the 100-acre Wasing Estate in Aldermaston is the answer. 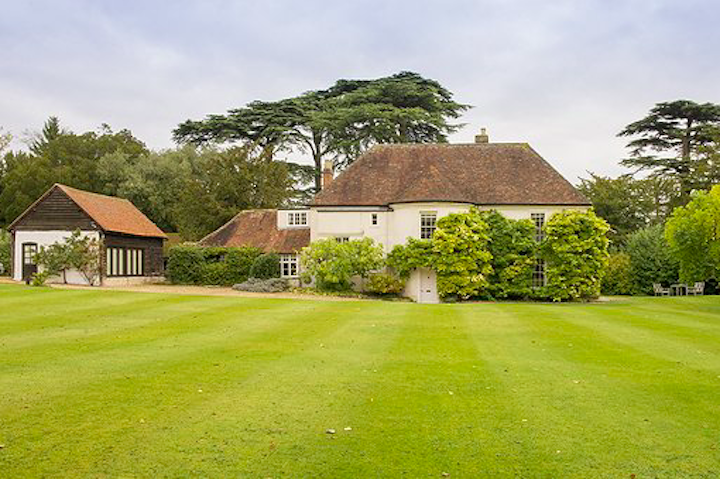 A lovely six-bed house near Reading, and just 45 miles from London, it has a stunning garden perfect for barbecues, family games and croquet battles on the lawn. You’re also in the stunning grounds of Wasing Park, so make the most of the setting and enjoy magical walks through the ancient woodland. 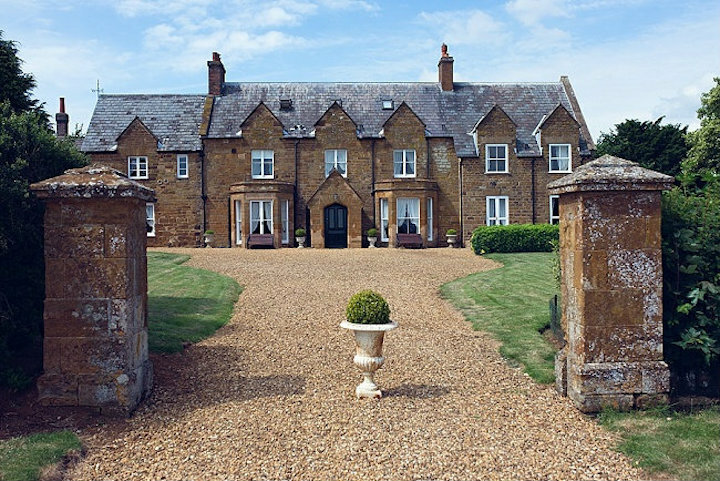 Say hello to The Old Rectory, a self-catering property in the grounds of Hartwell House & Spa, complete with a river weaving through its bucolic, extensive 18th century gardens. 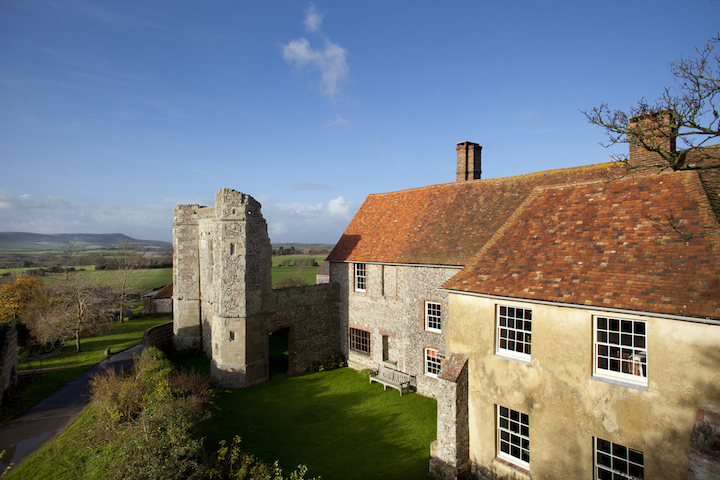 The Old Rectory has four bedrooms, all with en suites, with the master boasting a four-poster bed. Then there’s the drawing room with French windows leading out onto two acres of private gardens and views across to the Gothic chapel in the Hartwell estate, plus an outdoor pool and croquet lawn. 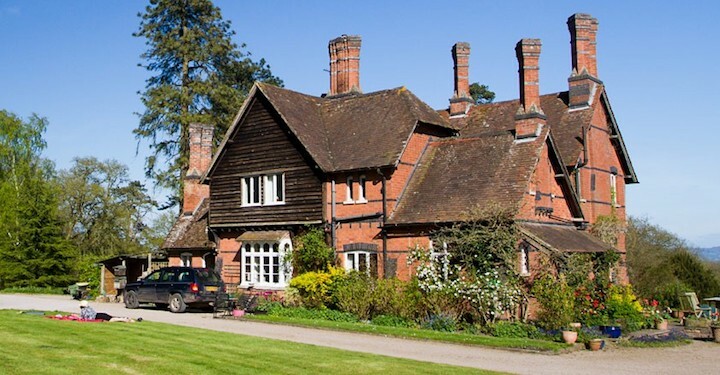 Who wouldn’t want to be lady of the manor here for a few days? 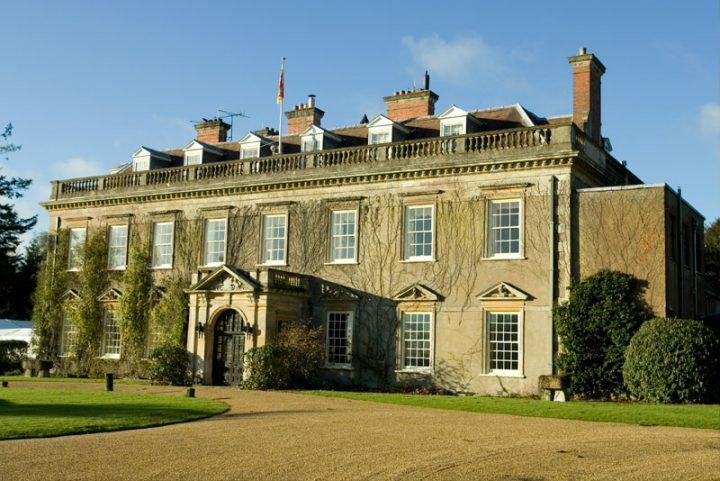 It’s worth noting, though, only children over the age of six are allowed to dine in Hartwell House itself. 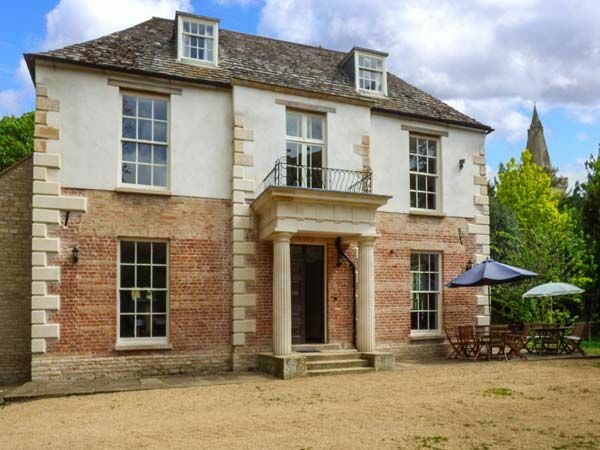 It almost feels French from the outside but the stunning The Cedar House is actually located in the pretty village of Castor, a few miles west of Peterborough. 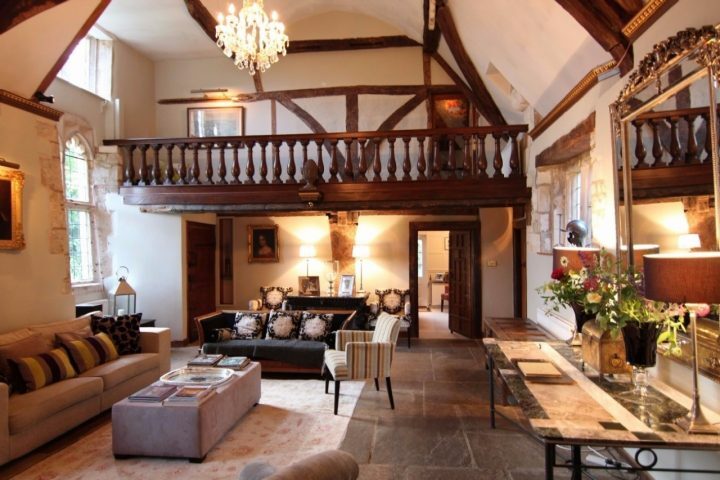 There’s a feeling of grandeur about this property from the moment that you step through the front door with its imposing entrance hall and carved oak staircase. 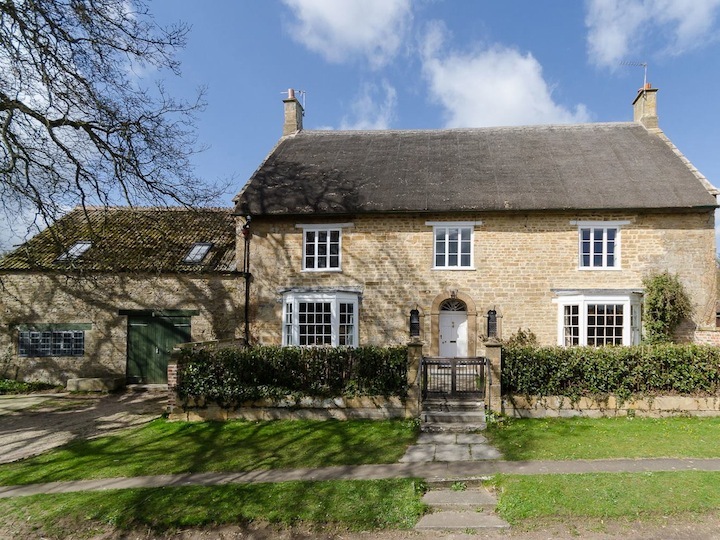 It’s stacked with period features and has been beautifully restored with roll top baths, a country kitchen with an AGA and open fires. 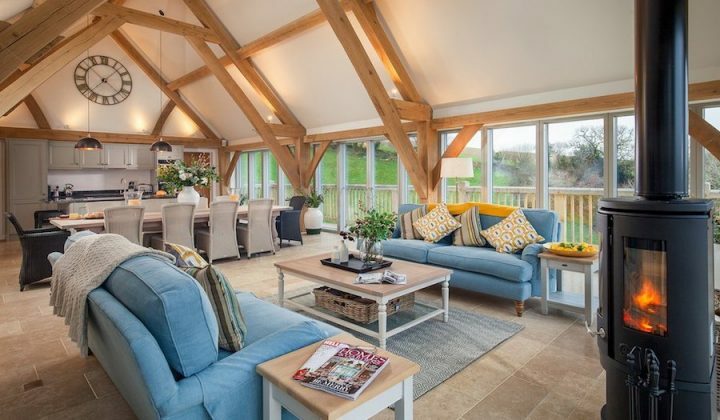 Wind your way through the house and you’ll discover 10 bedrooms, four bathrooms, two sitting rooms, a play room and a dining room big enough to squeeze everyone in – it’s just cooing for some form of celebration. It’s large – it’ll sleep a whopping 20, 21 if you include the dog (yes the pooches can come too, up to four if you’ve got a pack), and they’re happy for you to squeeze a cot or two in for tiddlers. The garden is a reasonable size and there’s a climbing frame and a Wendy house for the younger members of the house party. There’s a pub less than a mile away, great walks and cycle routes and the lovely market town of Stamford is nearby if you feel so inclined – but why bother? 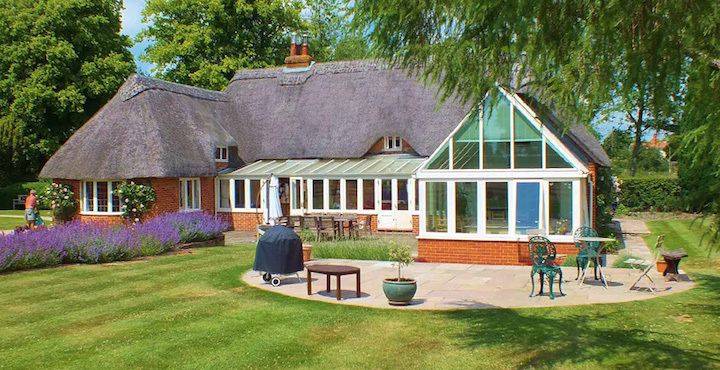 Situated on the top of the Gog Magog Hills, this hilltop property sits in four acres of grounds and is a haven of tranquility only 10 mins from the bustle of Cambridge. 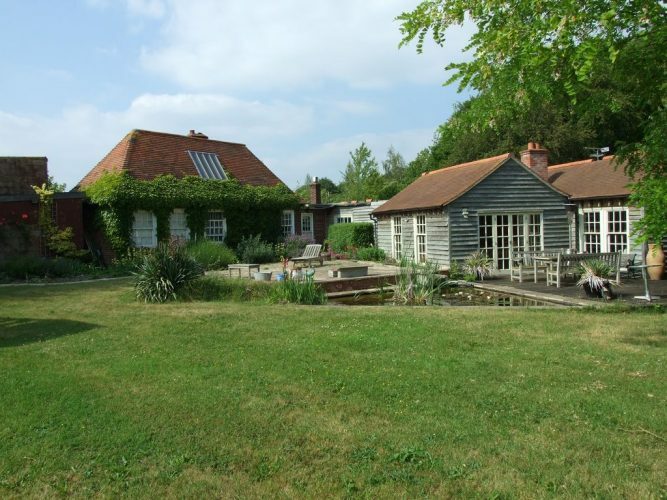 It’s an eclectic mix of an original agricultural cottage adjoining converted outbuildings and the end result is an excellent all-year round entertaining space. 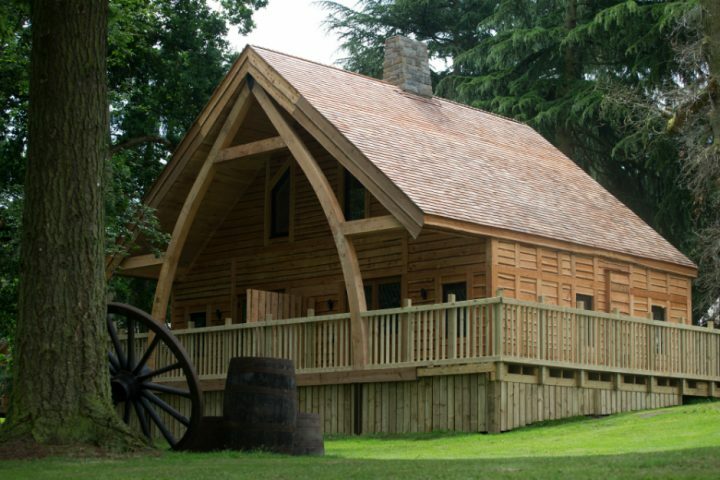 It sleeps 12 (five bedrooms; three bathrooms), and indoors you’ll find vaulted ceilings, contemporary log burners and oak flooring. 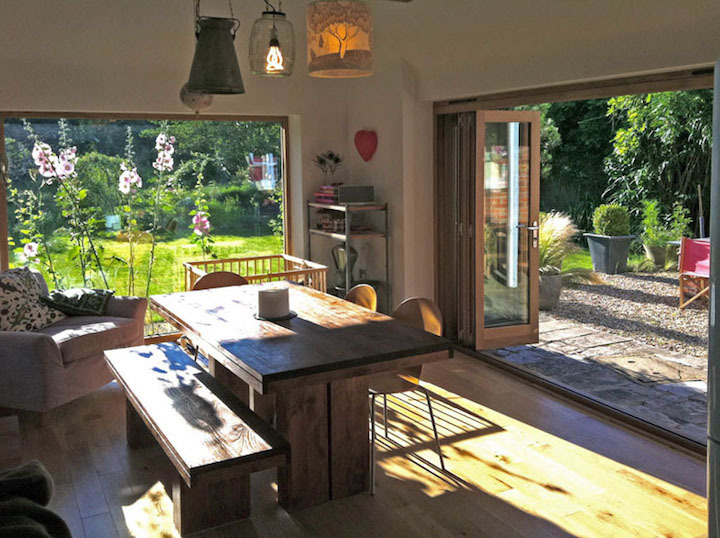 Step outside and there’s a choice of a patio or decked area, a pond and a seven-person hot tub (available all year). The garden’s vast – you could play a test match on the lawn or build camps in the woodland and it’s all enclosed, so no fear of losing anyone. With a pool table and table tennis table too, there’s something for everyone. The Gog Magog Hills are a range of low chalk hills southeast of Cambridge. Locally you’ll find an award winning farm shop and café and take your pick from various pubs located nearby. Wandlebury Country Park is also close if four acres just isn’t enough. If you’re looking for a hideaway in peaceful seclusion to get together and catch up over copious bottles of red (or fall out over who won Trivial Pursuit), then you’ll love Higher Westcott Farm. 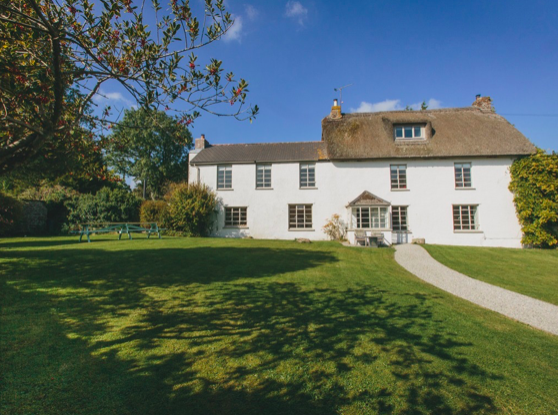 It’s a three hundred year-old granite thatched Devon longhouse surrounded by ancient woodland and rolling hills. Inside is packed with original features, but with all the twenty-first century comfort that you’d hope for; put it this way, you’ll have a pretty healthy Instagram page after a stay here. 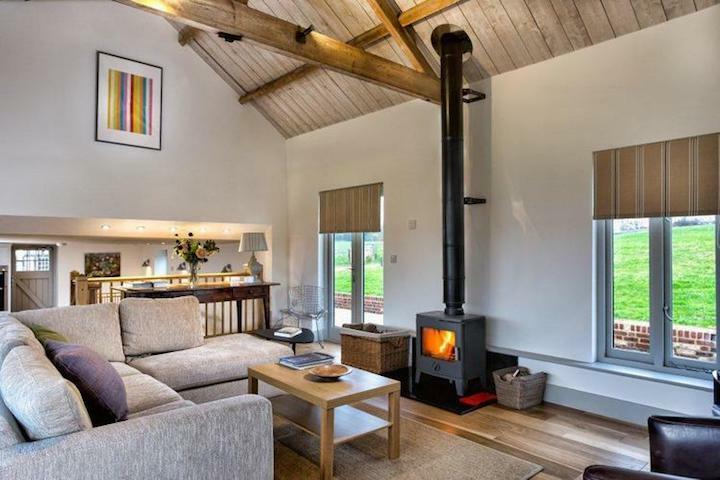 The living area is cosy but spacious with a wood burner making winters especially lovely, and upstairs there are six bedrooms stretching into the loft, with plenty of options for configuring to fit cots and kids’ beds. Speaking of which, there is a play room and outside is a dream for little ones and grown-ups, as you can sit on the terrace watching them run around and explore quirks like ancient bee boles in the stone walls. Moretonhampstead itself is a busy village known as the gateway to Dartmoor, so you’re perfectly placed for stretching the legs and falling into decent country pubs after. It’s an all-the-year-round winner. Sometimes it’s nice to have everybody in one place, but still have your own front door to lock at the end of the day, right? 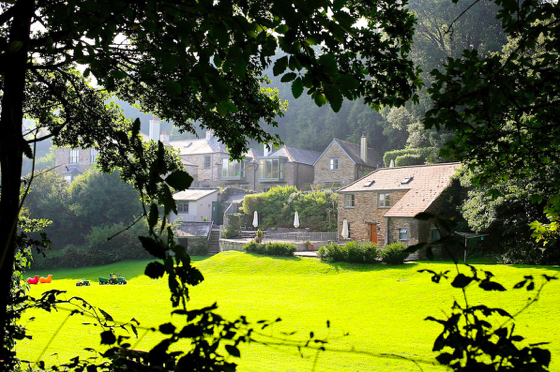 We’re not sure there is anywhere better catered to large groups and families in Devon than West Charleton Grange, a cluster of gorgeous cottages of different sizes, all within shouting distance of each other and with all the facilities to keep kids and grown-ups entertained and smiling for days. 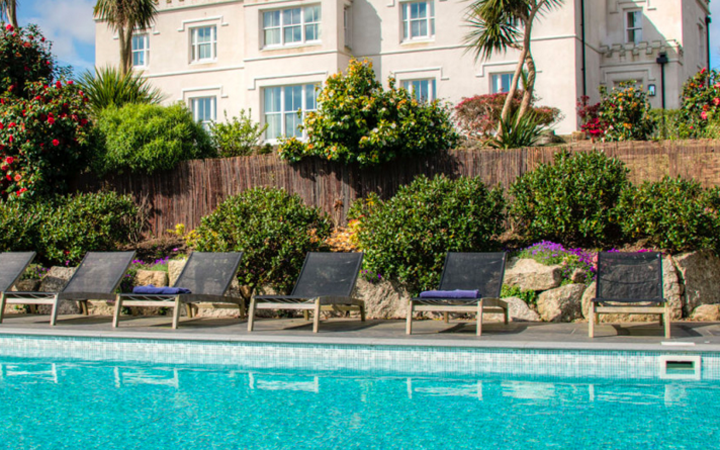 The setting is an absolute stunner, the toys are plentiful and there is a gorgeous heated indoor swimming pool for splashing about and lounging. There is a definite feel of luxury here, with Ren goodies, locally-sourced treats on arrival and options for catering if you can’t be bothered to cook. 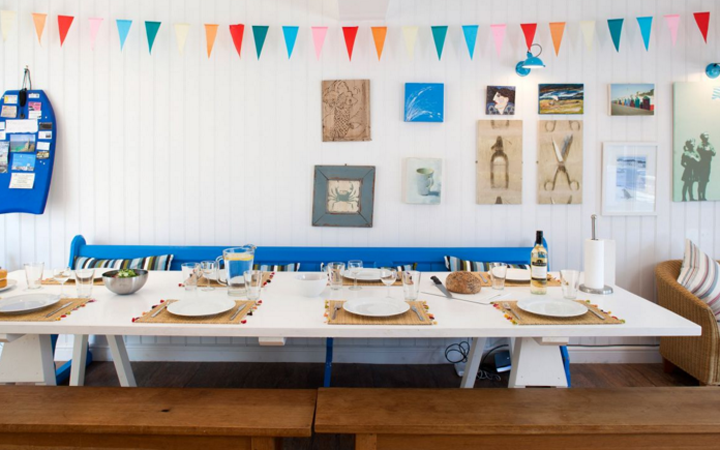 And being close to the south Devon coast, you’re only a short drive from some of the best spots, like Bantham beach, Salcombe and the estuary town of Kingsbridge, full of chi-chi boutiques and deli’s. If you can bag yourself a break here, give yourself a pat on the back and then revel in the praise that the rest of the gang will bestow upon you for having such excellent taste! If you fancy getting your mates together for a game of rounders in 600 acres of farmland just one hour from London, Lordship Barns is just the ticket. 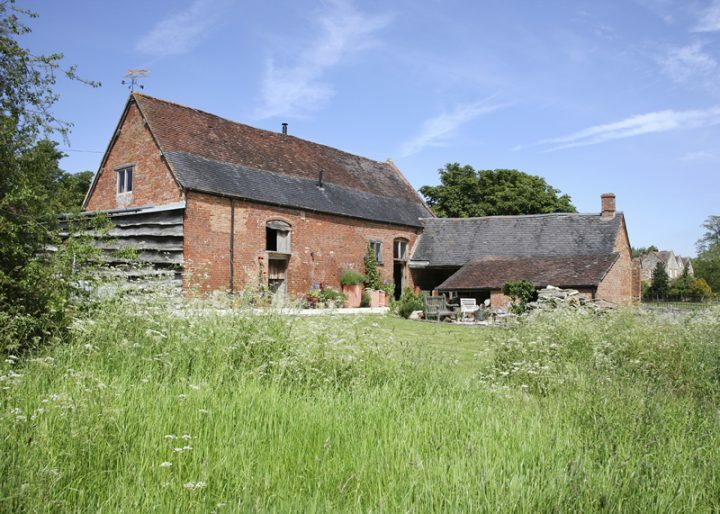 Ten minutes from Ware, and renovated a couple of years ago, the Granary, Wagon House and Vineyard will accommodate up to 14 people. 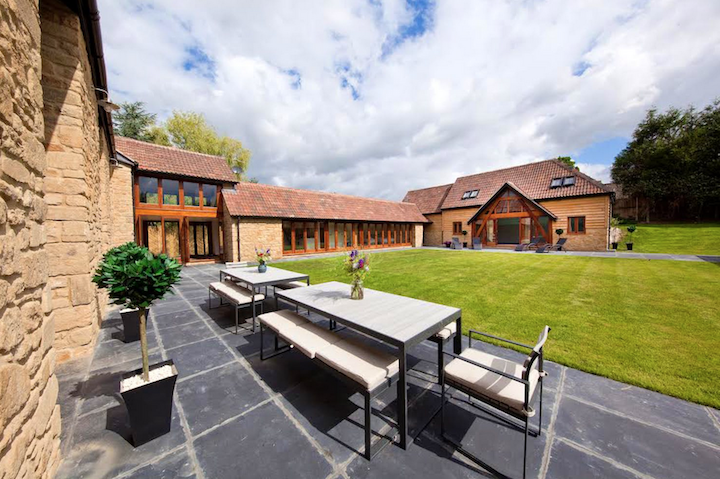 You can book each one separately, but if you want to have the run of the place for your very own house party in a the rolling hills of Hertfordshire, it’s best to book all three. Lordship Barns have been transformed with love and care by Sasha Josey – they’re on her parents’ family farm – and everything is of a standard to suit the Muddy barn dweller, from Neal’s Yard toiletries to under floor heating. If you fancy a trip out, then Perry Green is on your doorstep, where there is yet more open space studded with sheep and Henry Moore bronzes. Hertford and Cambridge are also not that far away. Imagine a cottage so flexible that your family – no matter how large or small – can fit perfectly without Uncle Albert having to sleep on a pull out (it’s his back, you see). Allow me to introduce you to Marshgate House: a three cottages-in-one type set up nestled in the rambling grounds of Marshgate House. 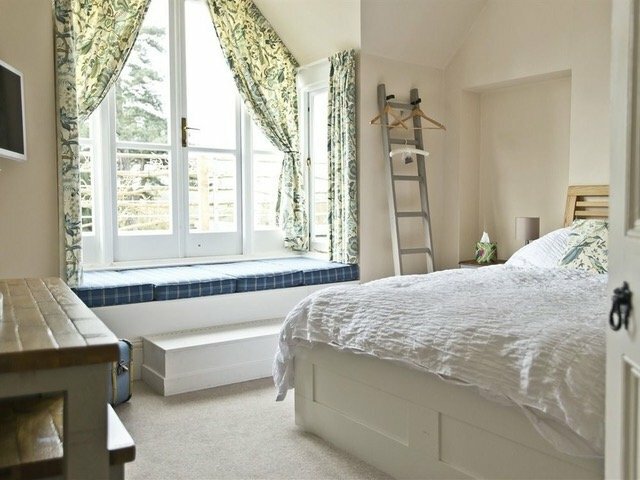 Select the one-bed Dairy (sleeps two), the two-bed Coach House (sleeps four) or the two-bed Stable Cottage (sleeps four) – or two of them, or all three – and hop from cottage-to-cottage to be sociable, retreating to your own space when the family gets a bit much (because, let’s face it…). 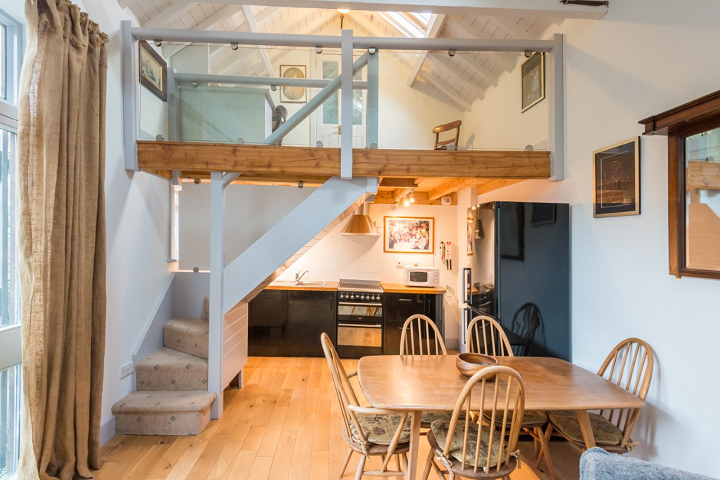 Cosy lounges; open-plan, fully-equipped kitchens; double bedrooms; modern bathrooms; south-facing gardens; plenty of parking; and all the character you can muster – think beamed ceilings and stripped wood floors – awaits. Even your pooches are welcome. 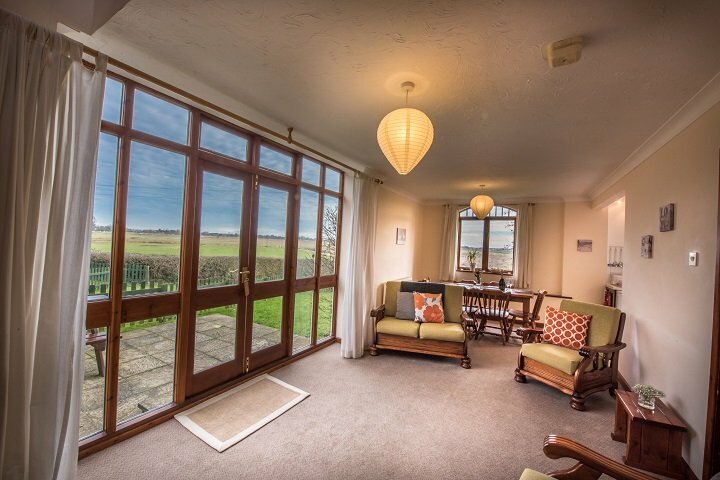 Ideally located in a quiet location a 10-minute walk from the centre of the bustling market town of North Walsham – with its dog-friendly cafe and country pubs – Marshgate House sits equidistant from beautiful Norfolk beaches and The Norfolk Broads, making it ideal for exploring. 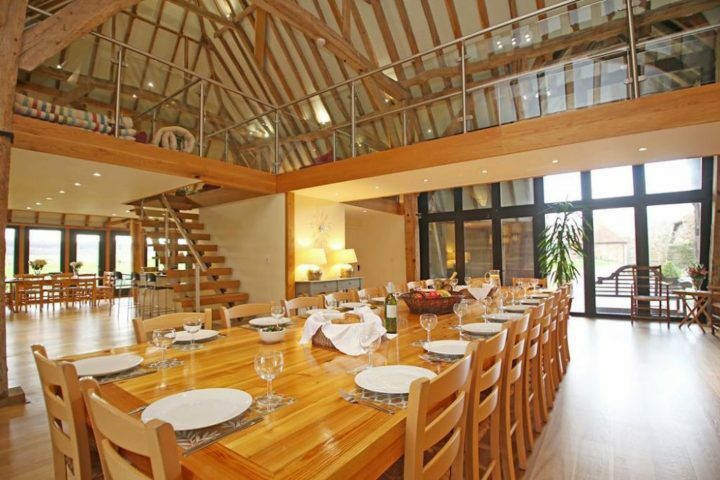 Essentially nine (yes nine) charming barn conversions in one – with the added bonus of a meadow, a fishing lake, and a conference and games room – Hall Farm can sleep a whopping 46 guests (extending to 54 if eight children are happy to sleep on Z-beds) in one, one-bedroom; two, two-bedroom; and six, three-bedroom barn conversions. Large groups of multi-generational families will love the flexibility and disabled access (all of the cottages, bar the one-bedded loft apartment, offer a downstairs bedroom and wet room), while groups of friends with babies and toddlers will love the security – open the French doors of your cottage and let the kids play safely together in the large garden. 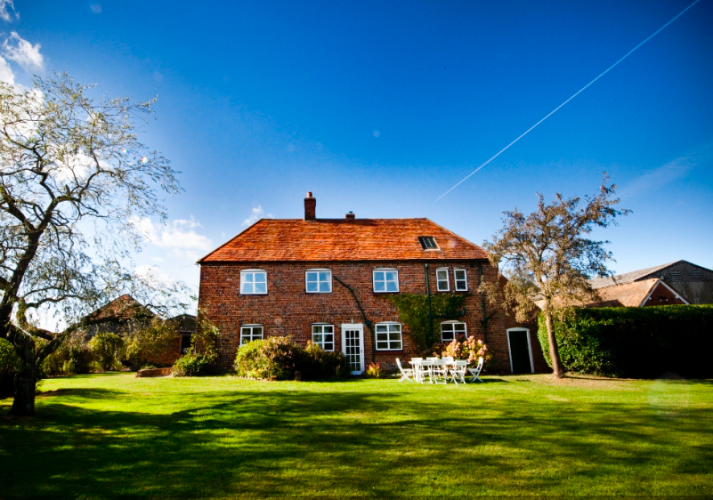 Hall Farm’s cottages are located in the picturesque surroundings of the Norfolk Broads, and are within walking distance of the local pubs along the riverbank, where fishing is also available. 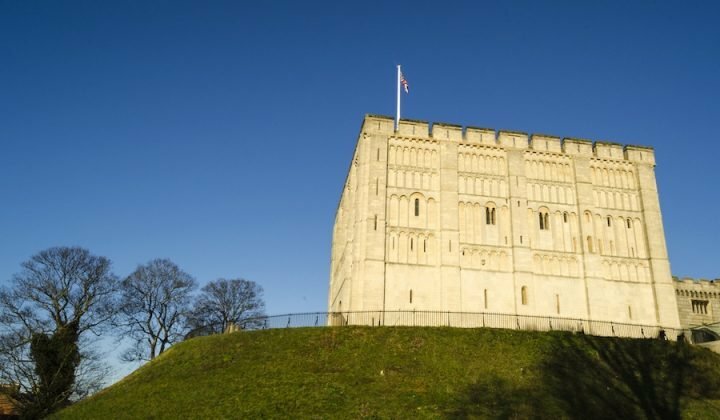 There are shops nearby for you to buy a few gifts from, stunning churches to visit and the award-winning outdoor adventure park Bewilderwood for those children that need to let off a bit of steam. 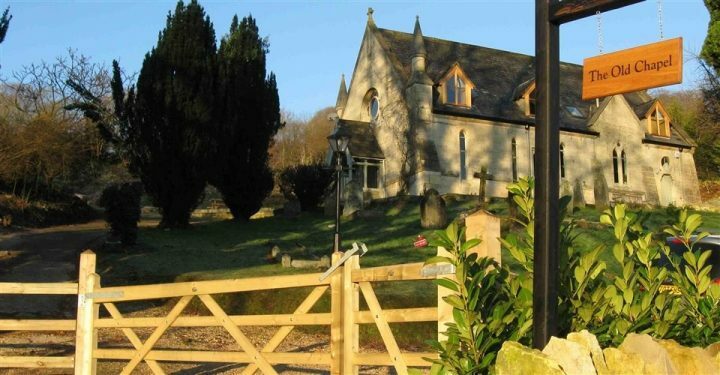 Fancy a jaunt into the Cotswolds? 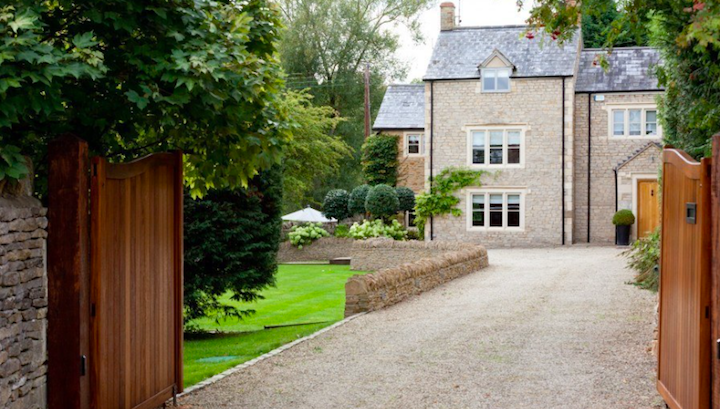 Pear Tree Cottage is a grand contemporary house in a whopper location – five minutes from Stow-on-the-wold, and a leisurely walk from the organic loveliness of Daylesford (bring your wallet and brush your hair before entry). 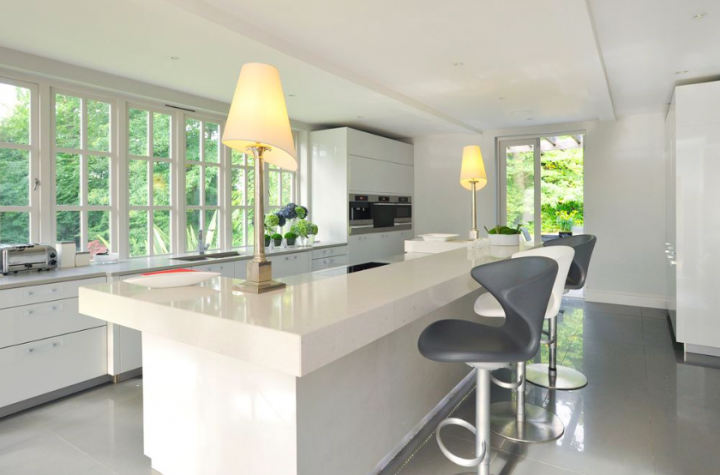 Sleeping 8 in 4 bedrooms, this property features a kitchen that’s been designed for 80 (well, nearly). There’s a six gas burner stove, three ovens –three! – an American fridge freezer with ice maker and separate wine fridge and a coffee machine *breathe*. Living areas are all about open fires and log burning stoves (yup, logs are provided), chaise longues and techno-gadgetry, but the star of the show for bookings over the next six months is the garden – a main terrace area with rattan furniture and loungers, an outside gas fire, bar area with stools, two butlers sinks, a large drinks cooler and a gas BBQ. Boot the little people into touch on the large lawn complete with trampoline, goal posts, fold-and-roll-away table tennis table and mix yourself another Hendriks (*clink*).